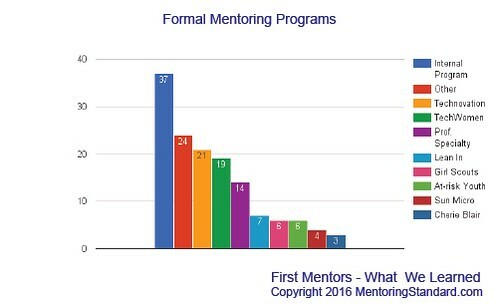 Mentoring Standard‘s 16 page report on the first 72 Certified Mentors is now published: “First Mentors – What We Learned” (by Katy Dickinson and John Plocher). This is a baseline report on mentors certified by Mentoring Standard during its first year in business. Subsequent reports will expand on this material. This report presents demographic, geographic, and professional information about the first cohort of 72 Certified Mentors, plus information on mentoring as a practice that has demonstrated consistent and remarkable benefits. Nine conclusions are made but understanding of other patterns will need to wait for a larger group to analyze. Detailed comparisons are made with one of the few large sets of data published on professional mentoring – that of Sun Microsystems Engineering. 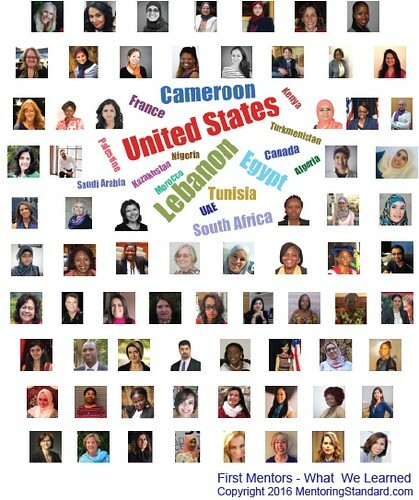 The information in this report is drawn from an interconnected worldwide community of dedicated mentors – not a general population. In this first cohort, there are far more women, highly educated and technical professionals represented among the Certified Mentors than are in the general public. Mentors report great satisfaction from working with mentees. Most reported being mentors for years and seem to want to continue mentoring and improving as mentors for the foreseeable future. Mentors write about formal and informal mentoring being a regular part of their personal and professional lives. Participants report that mentor certification gives immediate benefit in increased confidence and recognition of their own accomplishments, and may also yield professional visibility and better advancement as well. Mentoring works well for a wide diversity of nationalities and ethnicities. It seems to be an accepted practice in all 17 of the countries where Certified Mentors live. The intended audience for this report is current and potential Certified Mentors, customers of Mentoring Standard, academics and professionals interested in how mentoring actually works. I look forward to your comments and questions!